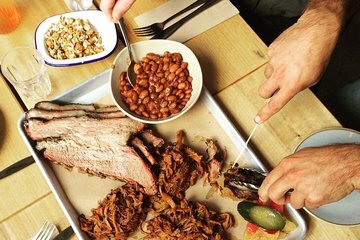 Get to know a special corner of Perth’s foodie scene on an American BBQ food tour. Visit various restaurants and bars throughout the tour and meet a local chef with a Bachelors' in Barbecue Science. Sample brisket, smoked ribs, pulled pork, burnt ends, chicken, pickles, slaw, slow cooked beans, and desserts, as well as cocktails, local beer, and cider. Make your way through the city stopping ant hidden local gems and learning about Perth’s food scene from your guide. • The Bell Tower, Perth CBD (meet at the red 'Tourist Stop' sign outside the Riverside Café in Barrack Square)Please specify your preferred pick up location in your booking. This tour is not suitable for Vegetarians/Vegans. Other dietary requirements can be catered for, please advise at time of booking. Great little tour, excellent food, friendly and knowledgeable guide, highly recommended!